On Saturdays, sleep in late before leaving your student housing in search of brunch. Try Dina’s Café for tasty smoothies and steaming empanadas, before catching a politically-inspired exhibition at contemporary art gallery the Hammer Museum. When you want a change of scene, catch a ride with friends to sun-soaked Santa Monica Pier, where you’ll find street performers, amusement arcades and beautiful golden-sand vistas. In the evening, enjoy a stand-up show at The Improv Center, or head to Westwood Village Theater to catch a glimpse of the stars attending one of the venue’s regular premieres. 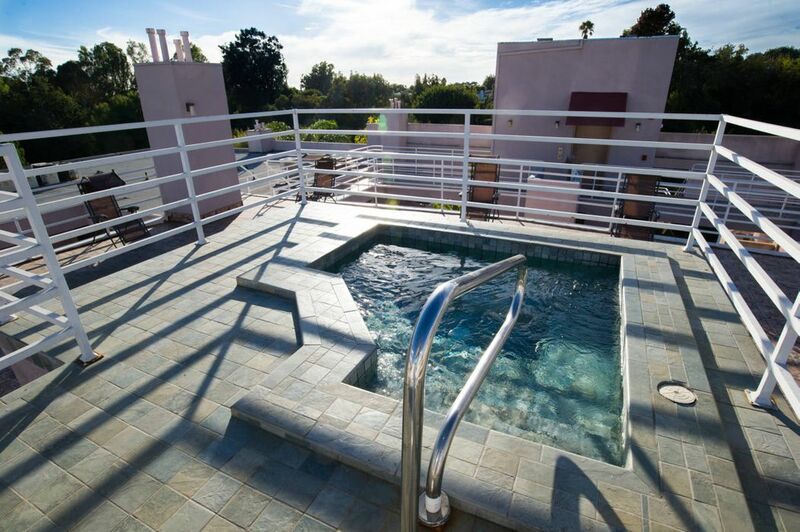 From your shared bedroom at Veteran Plaza Apartments, you can walk to UCLA in just 15 minutes. For ultimate convenience, keep a car in the parking for an extra $100 per month, or save money by walking three minutes up the road to the nearest bus stop whenever you feel like exploring. Spend the day celebrity-spotting and admiring the store windows on famous designer shopping street Rodeo Drive, or taking in breathtaking views of the Hollywood sign from Griffith Observatory. On Thursdays, stop at Westwood Village Farmers Market to stock up on fresh produce before letting yourself in through the property’s gated entry. Head upstairs to your fully-furnished room, then adjust the air-con and stash your groceries in the kitchen fridge. After fixing yourself a quick snack, use the high-speed internet to check your email, then get dressed for a session in the on-site gym. If you’re not feeling particularly energetic, opt for a few lengths of the refreshingly cool pool instead. Spend the rest of the afternoon lounging in the Jacuzzi, or putting the finishing touches to an assignment in the study room. Step into the bathroom for a hot shower, knowing that with all utilities included, you don’t have to ration your water usage. 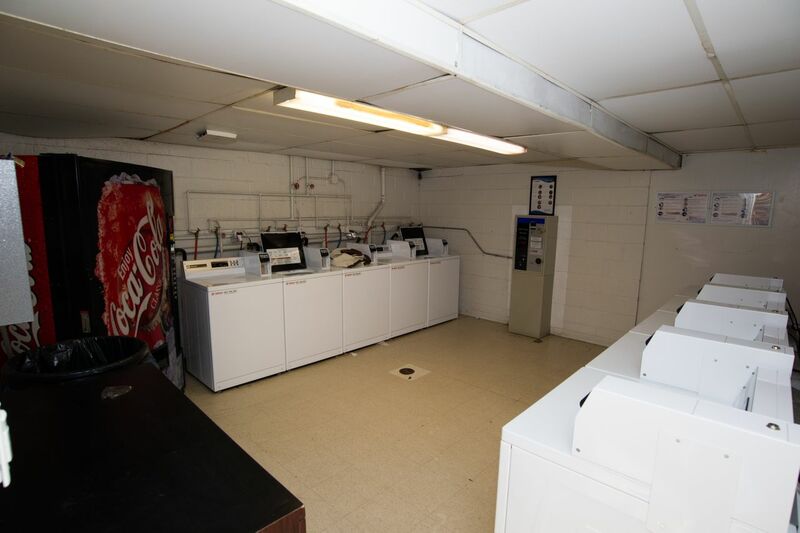 A monthly cleaning service helps you keep on top of the housekeeping, while the on-site laundry ensures your walk-in closet is always full of clean clothes. In the evening, head out to student favorite Bella Pita for a Mediterranean dinner with friends. 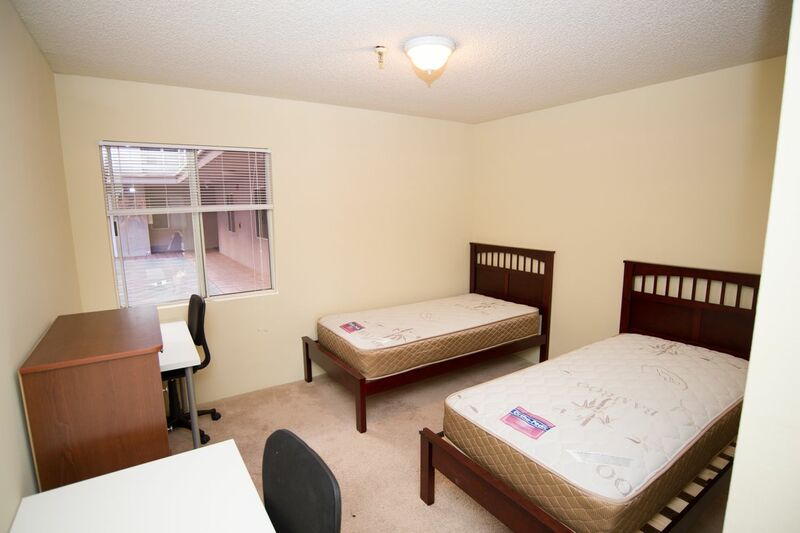 We couldn't find a room that matches your preferencesView all Shared Room in Veteran Plaza Apartments. We couldn't find a room that matches your preferencesView all Private Room in Veteran Plaza Apartments.